Not gonna lie, when I opened up the bag that contained these brushes, I sniffed them suspiciously. 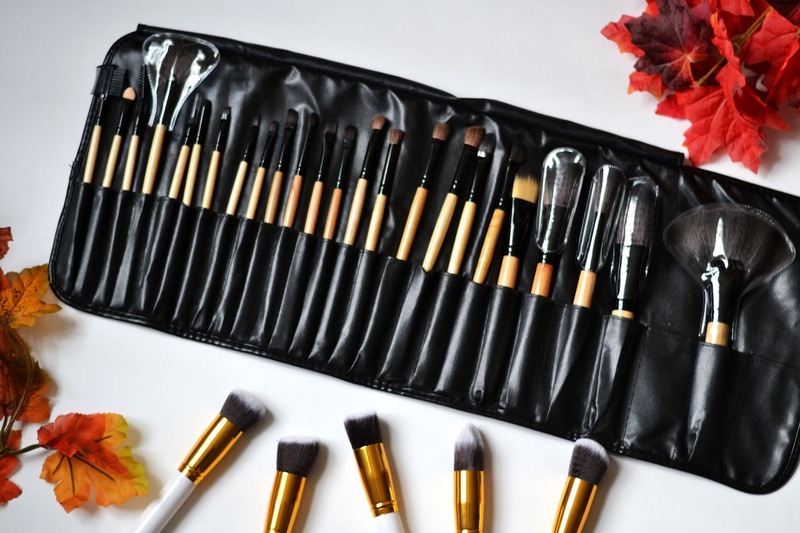 How could these gorgeous makeup brushes from Hong Kong be so cheap and look so nice? Would my face melt off if I used them? I'm always slightly nervous when I get products sent to me from overseas, as I'm sure we've all dealt with cheaply made items that fall apart way too easily. What I've found from personal experience is that's usually the case when it comes to clothing items ordered from such sites. No matter how cheaply priced, it is never worth it if you can't even use the product you bought. If you're anything like me, you part very reluctantly with money (and yet it keeps happening). However, I've been pleasantly surprised by accessories from this company, so when I stumbled upon their makeup section, I figured: "What the hell? Let's give them a shot!" Now, I know that if I wasn't receiving these products as compensation for blogging about them, I'd be plenty nervous about actually ordering them. However, that's why these reviews get written. I wouldn't want you to waste your money on something I said was good! 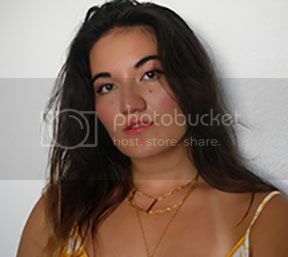 I used these brushes right after shooting these photos, and my word...I can't stop rubbing them on my face. Seriously, how do they get these brushes so soft?? I used at least four of the eye brushes to apply a simple yet layered eyeshadow look, and I love having so many options to choose from! Although, if you follow me on Snapchat (the_dragonfruit), you would've gotten a sneak peek of these and my bewildered reaction to having so many brushes in front of me. Seriously, how do I use them all?? 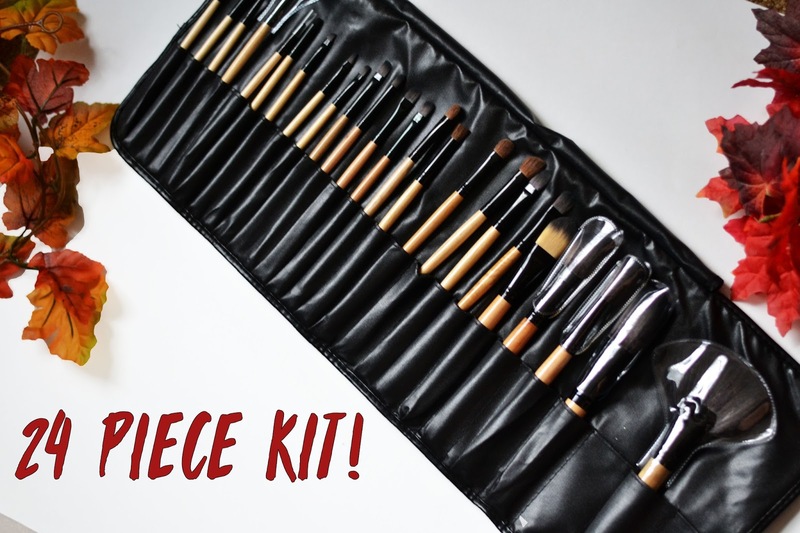 The varying shapes of the brushes are perfect for blending, applying thin strokes, and angled just perfectly for getting to the crease. I used a stippling brush from the white-gold line to set my face, and it applied my powder perfectly (and again, was so soft!). No wonder people pay so much for these! They really give you that professional makeup feel and look. However, you won't have to pay an arm and leg if you go through CN Direct - both of these sets come to a total that's under $10! Insane, isn't it? Now, I know that if I was you, I'd be wondering "Yeah, but what's the shipping cost make it?" Okay, okay, smarty pants. You're right, you can't forget shipping! That's for both of those brush sets including shipping. 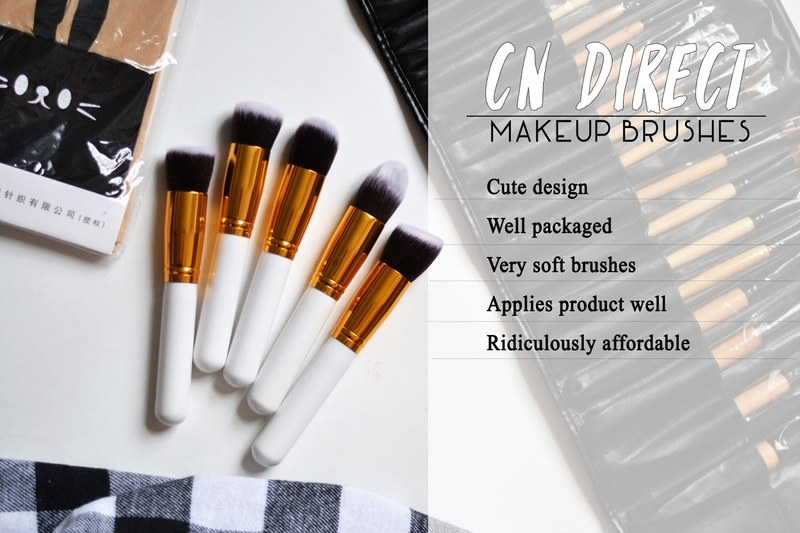 So whether you decide to check them out for yourself or not, keep CN Direct in mind if you're looking to amp up your makeup brushes! These are phenomenal and get a 5/5 rating from me! 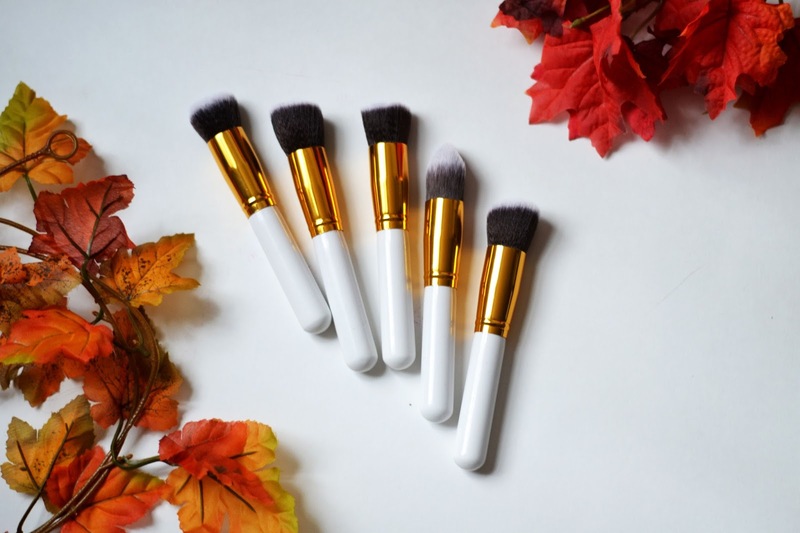 I've been looking for some new makeup brushes and glad to see you would recommend these! I know using brushes probably makes the makeup look so much nicer so I think I will invest in some soon. Great review and those photos are beautiful! these look rather great and affordable! I bought a set one and I agree, they were so so soft! I'm not that good with make up so having that many brushes scares me a bit :) But, they sure look great and I just need to figure out what they're all for. Thanks for sharing! Wow I'd have no idea what to do with so many brushes either, haha! I recently increased by makeup brush collection from 2 to 3 brushes - groundbreaking! LOVE the price, and love how they look. It looks like good quality. Wow, what useful things! Excellent set of brushes! I'm always super nervous about such affordable companies from overseas as well, but it's usually hit or miss. But dude, THAT'S SO MANY BRUSHES. I'm overwhelmed just looking at them but it does seem like they're decent quality! The right brush does surprisingly (or maybe not so surprisingly) make all the difference. That is a great price for that many brushes, especially if they are soft. Let´s hope they hold up well with time and you are pretty much sorted for everything to come, makeup wise. I desperately need to get new makeup brushes! Love this! Wow the whites one are so cute. I think the shipping price is a little bit high..but well the low price of the brushes balances the total amount. Thanks for the review!